One of the best gifts to friends and family is the gift of security. 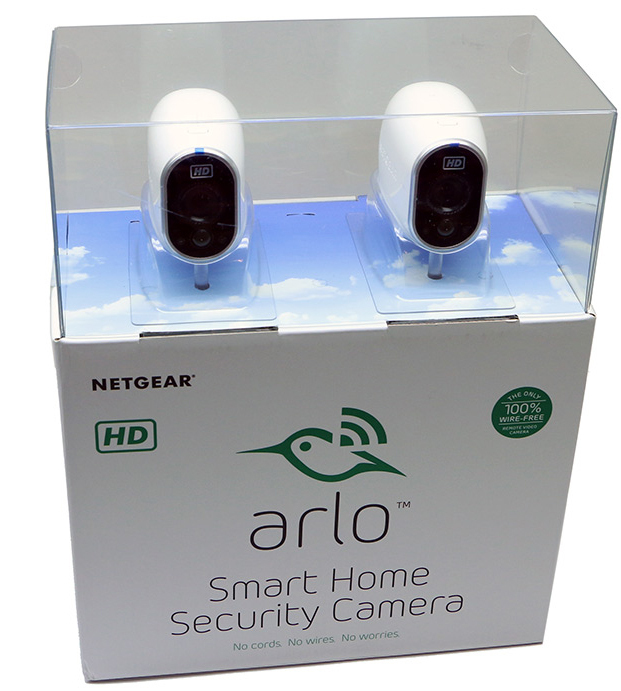 Netgear’s Arlo is an impressive security system with battery-operated 720p-resolution, motion-sensing, night-vision-equipped, indoor/outdoor cameras. These pocket-sized cameras retain the resolution and on-demand video feed of a typically-tethered camera, but without the typical electrical cords. Arlo’s mobile app is simple, but impressive. The cameras can be used inside and outside the home or business to provide security. For many homes, the two-camera kit will be sufficient, but a there is a four-camera kit and additional cameras can be added for $160 each.